This product from ChessBaron: Separate all of the pieces. Can you rebuild The Moth Ball? 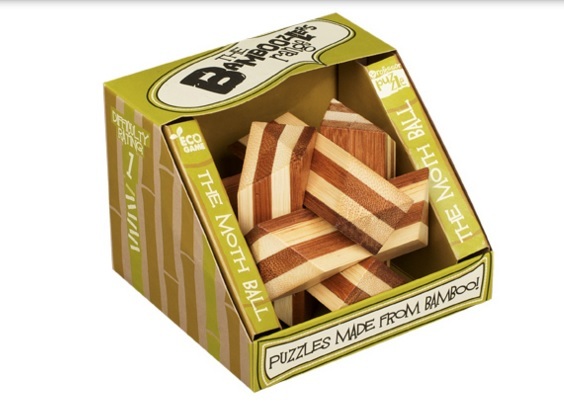 Puzzle info: A classic design made up of 6 identical pieces. Each piece needs to be held in the correct position to slot the shape back together again.